I want to be the owner of THE go-to boutique for style. Equipped with fashion and accessories for all occasions, an entourage of specialists, in-house stylists, personal shoppers and cosmetologists, Imani Style Company has long been my passion and shall one day be my destiny. There is no such thing as “ugly” at Imani Style. Everyone has a statement to make. To enhance, proclaim, and flaunt is our mission statement. I started HAUTE OFF THE PRESS in the early part of 2009 because I love to write and while I do a great deal of writing in my practice, I really wanted an outlet to express myself in other ways. On its pages you will find a combination of spontaneous, light-hearted expressions and informative, analytical articles, all intended to evoke readers and initiate a friendly discourse. I hope you enjoy the contents. 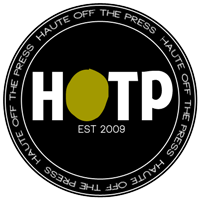 Feel free to leave feedback via comments or email at hauteoffthepress@ymail.com. More recently, I started The FABB Girls Club. TFGC is a social group created to give like-minded bloggers and industry professionals a way to share information and collaborate virtually and through an organized, member-focused program of events. You may inquire more about the TFGC by emailing me at hauteoffthepress@ymail.com. SOCIALIZE WITH HAUTE OFF THE PRESS! Another lawyer more interested in doing anything but lawyering. Honey, we all need to start a club. Or a support group!